In honor of it being Hobbit release week, I give you Sesame Street’s Lord of the Rings parody. It is entitled ‘Lord of the Crumbs.’ It is pretty great. 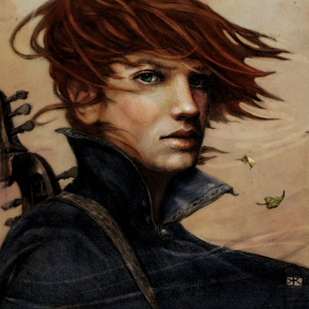 With little to no news lately on the release of Patrick Rothfuss’ final ‘Kingkiller Chronicle’ book (although this week he did some funny commentary on goodreads reviews of the unreleased novel), I thought it would be fun to revisit some of the cast ideas for the upcoming TV adaptation. It was announced a few months ago that Rothfuss’ popular fantasy series would receive the television treatment a la Game of Thrones and a few sites including Buzzfeed posted their ideal cast list for the show. A lot of Buzzfeed’s proposed cast for ‘The Name of the Wind’ are vastly different than what I imagined, but they still look like they would fit the characters well. Bill Nighy in anything as anything is always great, but I’m sure he would be especially great as the Chronicler. 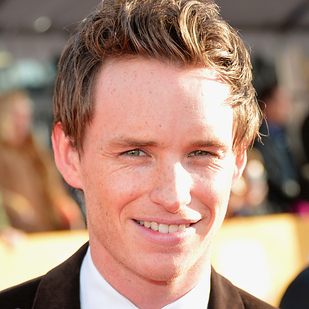 Eddie Redmayne (pictured above) feels like he could manage as Kvothe, but I’d be curious as to what era Kvothe he’d play. Chris O’Dowd as Manet and Idris Elba as Kilvin sound about right, but truthfully I’d endorse them even if they didn’t fit. In Tor’s ideal cast list, they have Tom Hiddleston as Kvothe, which honestly seems to fit a little better in my mind than Eddie Redmayne. Hiddleston could really shine as Kvothe, especially when called upon to convey a great underlying sorrow to the character. And I’m sure we could find a role to shove Benedict Cumberbatch in while we’re at it. Either way, be sure to check out the full fantasy cast lists at Buzzfeed, Tor and even Rothfuss himself chiming in over at his blog.